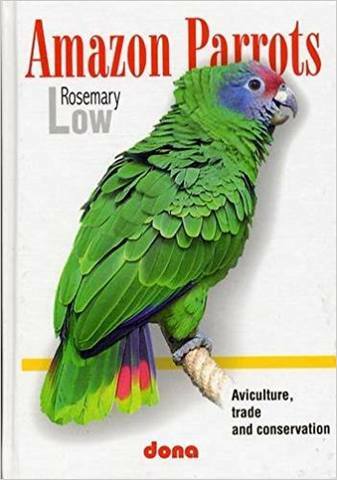 Amazon Parrots: Aviculture, Trade and Conservation by Rosemary Low is a useful and attractive book. The first part is a general account divided into 11 chapters dealing with Amazon parrots in aviculture, as companion birds and in the wild. The second part focuses on the individual species accounts. The species accounts are each sub-divided into sections entitled: Distinguishing Features, Immature Birds, Subspecies, Aviculture, Country of Origin, Habitat, Habits, and Status and Threats. A map indicating the range of the species is included and numerous colour photos illustrate not only the species but most importantly the various subspecies. Much original information comes from the author’s own experience gained whilst working with the excellent parrot collections at Palmitos Park and Loro Parque on the Canary Islands.